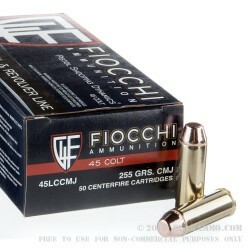 These Fiocchi 45 LC loads are a great choice for the next time you take your vintage wheel gun out to the range. 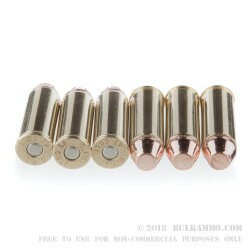 Each round is loaded with a 255-grain Complete Metal Jacked (CMJ) projectile that leaves the barrel at around 750 feet per second. The projectile is loaded into a reloadable boxer primed brass case. Shooters all over the world trust Fiocchi to produce high quality ammunition. 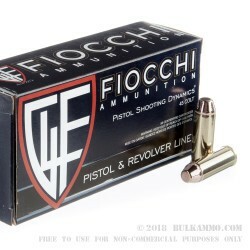 Fiocchi is a family owned company that has been manufacturing ammunition since 1876. 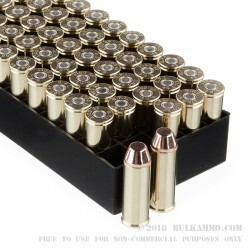 Get this bulk case of 500 rounds and head out to the range soon!